New Delhi, April 12: Civil Aviation Minister Suresh Prabhu on Friday said he has directed the Secretary for Civil Aviation to review issues concerning Jet Airways and take required steps to minimise passenger inconvenience. The statement comes after the debt-ridden airline on Thursday suspended long-haul west-bound flight departures for one night. Jet Airways Crisis: International Flights Cancelled for Next Two Days; Amsterdam, Paris & London-Bound Planes Affected. "Directed Secretary @MoCA_GoI to review issues related to #JetAirways. 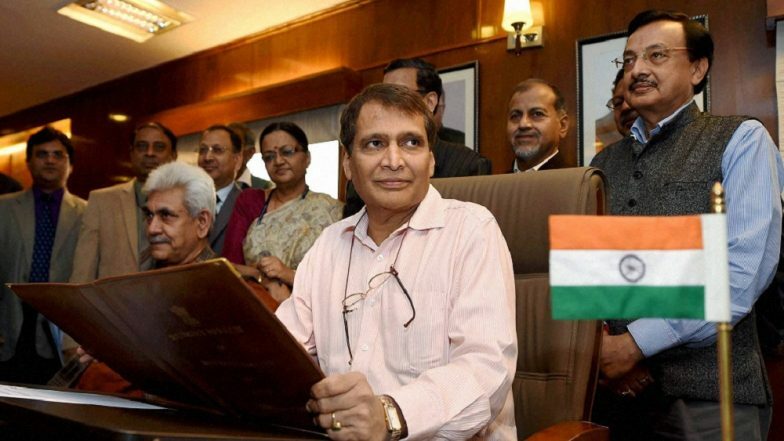 Asked him to take necessary steps to minimise passenger inconvenience and ensure their safety," Prabhu tweeted. Jet Airways Crisis Continue as Indian Oil Corporation Denies Fuel to Aircraft Over to Non Payment of Dues.